Sony may have dropped PS3 and PS Vita games as part of its free PS Plus offering last month, but thankfully PS4 owners can still look forward to two new free games each month. 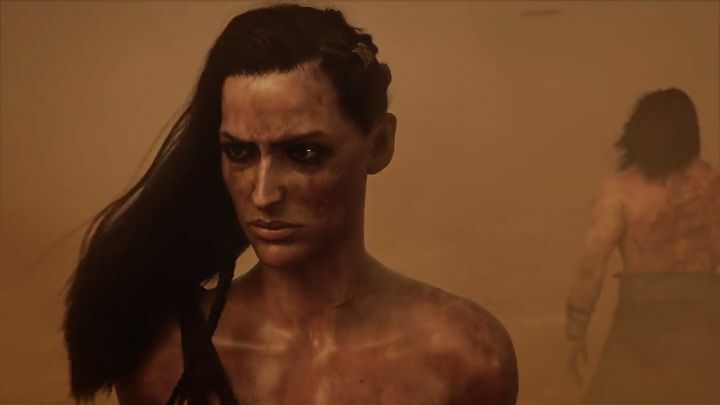 And one of the games Sony is giving away as part of its April 2019 offering is Conan Exiles. This is an open world multiplayer game made by Norwegian developer Funcom, and which first hit the PC back in 2017. Contrary to what you may think, though, you don’t actually play Hyborian hero Conan in Funcom’s game – rather, you’re cast as an exile here, who’s looking to survive in a brutal world. Like in other games of this ilk, you are able to customize your character here. Conan Exiles’ character customization options led to some controversy when the game first hit the PC though, as it featured an “endowment slider” which let users customize the size of their character’s manhood – something which was omitted for the console versions though. And as you might expect from a Conan game, there’s plenty of violence here too. You can also subjugate NPCs wandering around the world and employ them as thralls or slave servants in your fortress. Also, fortress building is a big part of Conan Exiles, but even the mightiest enemy fortifications can crumble before you as you can also call upon “avatars”. These are massive creatures which do your bidding in the game’s world. Aside from Conan Exiles and its medieval fantasy action, Sony is also giving away The Surge to PS4 players this month. This is a sci-fi game set in a research facility, where as you might expect things go wrong, leaving protagonist Warren to fight against a legion of hostile machines as he tries to uncover the secrets of the mysterious facility. PS Plus games for this month are available now and until early May. And this surely is a good pair of games that subscribers to Sony’s PS Plus will be able to enjoy this month.